Reading are aiming to increase their presence in Turkey after announcing a link up with Galatasaray, but deny it will lead to the player recruitment seen between Watford and Udinese. The Championship and Serie A sides have a similar partnership, with the English club signing 10 Udinese players. But Reading chief executive Nigel Howe said: "Udinese and Watford is different as they have the same owner. "This is about sharing information and helping players progress." He continued: "It's about working together, not taking each others players." Explaining the partnership in more detail, Howe added on BBC Radio Berkshire: "It's mainly about bringing the clubs together, sharing information, scouting knowledge and [looking at] how to develop young players as well as looking into their sponsorship market." Reading, who are owned by Russian tycoon Anton Zingarevich, already have links in Oman but Howe says they see the Turkish market as another area whey they can expand the club's global appeal. 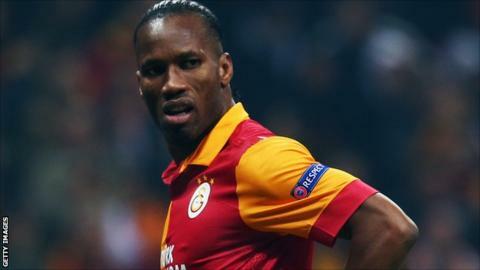 Galatasaray have further strengthened their standing recently by adding ex-Chelsea striker Didier Drogba and experienced Dutch international midfielder Wesley Sneijder to their side. They are in the last 16 of this season's Uefa Champions League, and lie top of the Turkish Super Liga by six points, having won the title 18 times in their history, as well as 14 Turkish Cups. "The new owners have contacts world wide, we have an agreement in Oman and now Turkey and specifically at Galatasaray," added Howe. "In terms of brand development the Turkish market is huge, there are lots of Turkish people living in this country also and this will help us grow the brand." Reading already have Turkish links through their midfielder Jem Karacan, but Howe has dismissed suggestions the partnership will mean their best players are poached by Galatasaray. But he did not rule out recruitment between the two clubs altogether,. "You never know, it might mean we look into player recruitment from both sides between Turkey and England," he said. "They have knowledge that Jem is a player of ours. There is no specific link, they think Jem is a player that has massive potential but so do we. So in terms of them thinking they are going to steal players, that is not how it works. "It's about working together, not taking each others players."